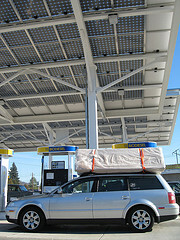 This post was prompted when I read one of Ken Berlin’s recent articles, entitled “The Second Valley of Death.” As General Counsel and board member of the Coalition for Green Capital (CGC), Ken is working to rationalize our energy policy in the U.S. As stated in his recent article, while China is aggressively investing in renewable energy and anticipates that one-eighth of its economy will be based on clean energy by 2015, U.S. energy policy stagnates. “Valley of death” is the trope used by venture capitalists and others to refer to the distance between an invention and its development for the marketplace. Ken’s “second valley of death” refers to the equal difficulty in scaling up and deploying new products profitably in the marketplace even after they have been developed. He cites an example from Shell Oil Co., which stated in 2001 that it has taken an average of 25 years after the commercial introduction of a primary energy form for it to obtain a 1 percent share of the global market. 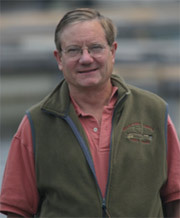 I first met Ken in 1974; he served on the National Fish and Wildlife Foundation Advisory Board for many years. Ken earned a degree in environmental law in the 70s and has been practicing it ever since. He has served in the Department of Justice, headed the environmental and climate change practices at the law firm of Skadden, Arps, Slate, Meagher & Flom's from 1994 to October 2010, and was Chairman of the Board of four well-known environmental organizations. But what you really need to know to understand Ken is that he is a bird watcher (as I am). “I’ve been a birder since I was 10. I’ve seen almost 6000 species, so I’m pretty serious about it.” (There are about 10,000 species worldwide). Ken is motivated by his lifelong fascination with birds and his appreciation of nature. lack of a level playing field. 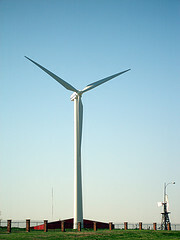 Provide low-cost financ ing and long-term tax incentives that encourage private investment in clean energy. For example, if instead of conventional financing we could provide low-cost, long-term financing for renewable energy, we could reduce the cost of clean electricity and energy efficiency by 15 to 20%. Reform energy markets by simplifying regulations without adversely affecting the environment. An example of why the current system does not work: the state of Virginia recently turned down a wind project to protect consumers from a 0.2 percent per KW energy rate increase. Provide incentives and minimal federal appropriations to build new supporting infrastructure, which would also create a significant number of new jobs. At the Private Landowner Network and some of our newest state sites, we recognize that the private sector is moving toward clean energy ahead of the government. That’s why we include in our toolbox numerous calculators and databases designed to help landowners learn how to save electricity; how to locate biodiesel facilities, green building professionals, or innovative energy products; and how to use our award-winning NRCS Energy Tools for agriculture. there is a strong argument that innovation often follows commercialization and not vice versa (just look at computer chips). When discussing clean energy, the elephant in the room is always fossil fuel industries. Ken acknowledges that anytime we are replacing an entrenched industry, it’s going to be hard. They have a lot of built-in advantages. Of the two fundamental barriers to clean energy - cost and intermittence - Ken’s solution to the first is to set up investment banks to provide low cost financing for clean energy and energy efficiency, at the state, national and international levels. CGC was successful in getting seed capital funds included in the climate bills last year, $7.5 billion in the House version and $10 billion in the Senate. “Our ultimate goal,” Ken Berlin says, “ is to change regulations and give the energy industry a different set of incentives.” And with the price of oil rising, classical market incentives should strengthen the worldwide move toward clean energy.